Torna fort is in Bhor Taluka of Pune District. It is 215 kms and 55 kms away from Mumbai and Pune respectively. The base village of Torna Fort is Velhe. 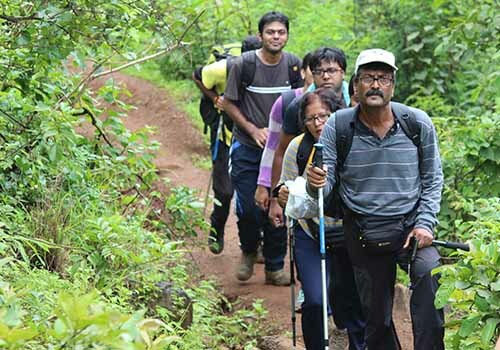 The trek to Torna is a mixture of steep climbs and plateaus. The Government has taken keen interest in preserving the well-established forts thus, railing and stairs are formed to help the visitors reach safely. 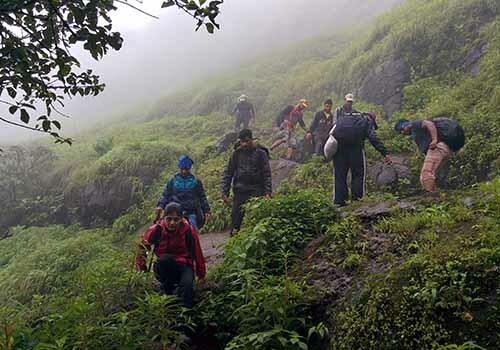 One will also come across waterfall before reaching the top (During Monsoon). The fort has many Doors and Plateau. Budhla Machi and Zunjar Machi are the two renowned plateaus at Torna Fort. Also, the top has many water cisterns and doors. Sunrise view from Budhla Machi and Sunset view from Zunjar Machi are the most attractive thing trekkers crave for. Meet at Dadar Railway Station (E), near Pritam Hotel at 11:30 am. We will travel to the base village in the Transfer Vehicle. We will reach Velhe village area around 5 am. Freshen up and fill your stomach with freshly cooked breakfast by the local villagers. We will begin the trek to Torna Fort by 6 am. 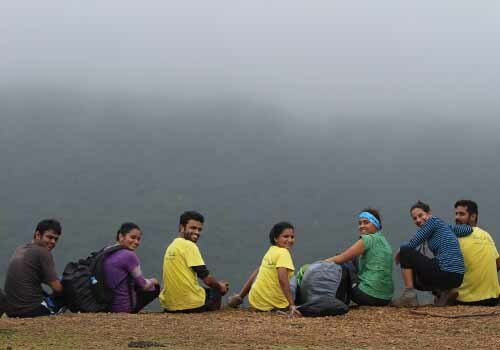 Follow the Jungle trail till the top enjoying the views of Gunjavne Dam and the ridge that goes to Rajgad. The trek will be of around 3 1/2 hours. We will reach the top of the fort around 9:30 am. Relax at the Mengai Temple. Explore the fort and don’t forget to take ample group photos and safe selfies. We will return to Mengai temple around 11:30 am. Relax and freshen up to feast on the local delicacies cooked by villagers. We will start the descend around 12:30 pm. We will reach the base village around 3:30 pm. We will head back to Mumbai around 4 pm. Please share your experience of the event and provide your feedback on our way back. ● If cancellationdone prior to 10 days of outing 50% will be refunded.